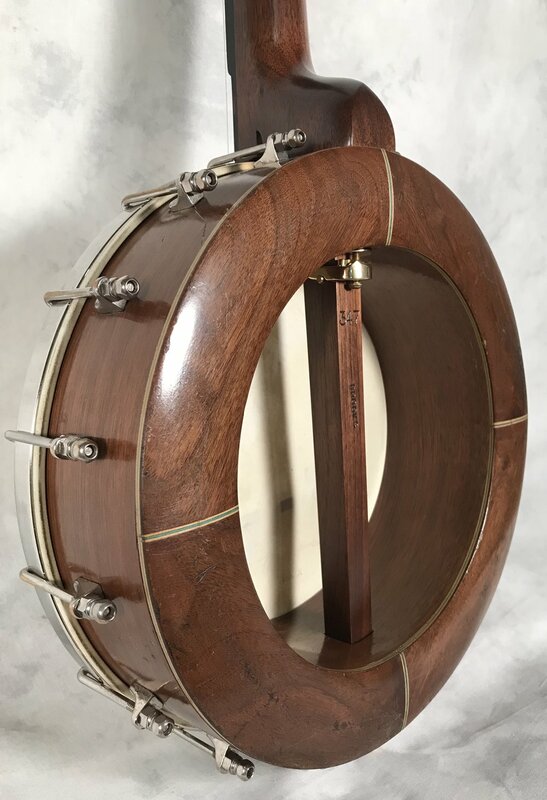 This is a 13” Yosko “Double Rim” internal resonator banjo rim from the 1930’s that I made a walnut neck for. The rim is about 4” deep, so I had to make a long heel on the banjo neck to fit the deep rim. I’ve done about 8 of these Yosko conversions now. This banjo went to Cape Elizabeth, Maine.